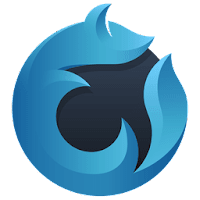 Waterfox is a open-source, high-performance Firefox-based browser for Windows, Mac OS X and Linux, that designed specifically for 64-bit systems and for privacy and user choice in mind. Waterfox browser offers many optimizations compared to original Firefox source code and puts a focus on the performance and speed. It contains modifications designed to take advantage of the 64-bit system architecture and provide speed improvements over Mozilla's flagship browser. Waterfox was the first community Firefox builds to release a 64-Bit version of Firefox 4 when it first came out. It also was one of the first widely distributed 64-Bit browsers on the web and quickly gained a loyal following. It was started back in March 2011 by Alex Kontos, a 16 year old student. Today, It has over 6,000,000 downloads spanning 180 countries. Alex Kontos created the browser to focus on giving users choice while also helping make the world a better place. It's partnered with Ecosia, a search engine that plants trees with its generated revenues (Ecosia is the default search engine of the browser). Moreover, there is no plugin whitelist, you can run whichever extensions you like and absolutely no data or telemetry is sent back to Mozilla or the Waterfox project. Disclaimer: Direct downloads for the lastest version of Waterfox 55.0.2 are provided by the official software's author, we can't guarantee safety, availability or download speed. Moreover, we don't and we won't provide any pirated/illegal versions or tools. We recommend you to avoid it as these methods can harm your device. If you like the software, buy it to support the developers. (We provide software discounts for many worldwide brands).